The Dream-One FC alliance that was established as part of the One FC Network will come to fruition on March 31 when the two Asian organizations are slated to stage their first co-promoted event. One FC and Dream plan to bring elite fighters from both organizations to produce a spectacular show, One FC 3, in Singapore. The event represents the idea of cross promoting and fighter exchanges that identifies this network of Asian mixed martial arts organizations. 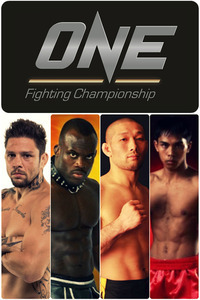 So far, the One FC 3 card is coming together as two big fights have been announced. Popular K-1 and Dream veteran Melvin Manhoef has been paired for a heavyweight tussle against former Strikeforce Light Heavyweight Champion Renato "Babalu" Sobral. Former DEEP bantamweight/featherweight champ Masakuzu Imanari will take on undefeated URCC bantamweight titleholder Kevin Belingon (9-0).